Denver on a Spit: A Denver Food Blog: Tacos al Pastor, At the Llama In Teullride?! 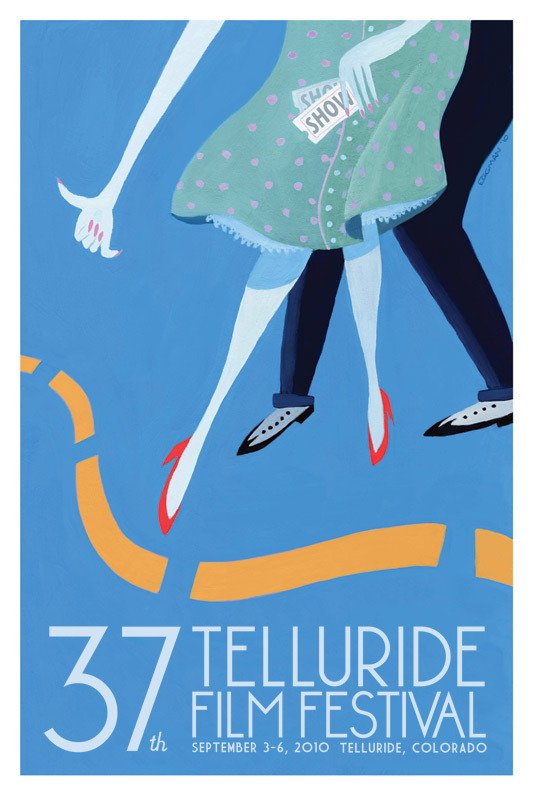 A couple of weekends ago I traveled to lovely Telluride, CO for the 37th annual Telluride Film Festival (TFF). I am, according to my four-day festival pass, a bit of a "cinephile", which is pretentious-talk for "I like films a lot". It also is code for "not rich or famous film fest-goers", as it is the cheapest pass that one can buy and still hope to see any respectable amount of films. (We saw ten for the record, and were in town for a total of 70 hours.) But I will spare you from my film tastes or the dirty details of the TFF and stick to what I know best: Tacos al Pastor. Now if you are like I was a couple weeks ago, you would think the following: "What the hell does Telluride have to do with tacos al pastor?" Well it seems that once again my food fate has brought me full circle to be face-to-face with another spit of roasted meat, and like most things in my life, I never saw it coming. There is a lesson to be learned here about destiny, I think, and it goes like this: It acts, and you just go about your life as impulsively and carelessly as possible. This night, our first of the film fest, unfolded more or less like that. My wife and I found ourselves in a situation that we would become our standard operating procedure for most of the rest of the fest: 30 minutes until film time and hungry. This night we happened upon the Llama. We buzzed in without really knowing the name of the place and for the opposite reason one would normally pick a restaurant--it was empty. We glanced down at the menus, film passes dangling from our necks importantly and our whole aura was that of obsessed movie-goers in a hurry. Immediately I saw it on the menu and paused, awestruck by those three magic words with spine-tingling resonance: tacos al pastor. On a rotisserie, or if you prefer, a spit. Despite the rush I did a double-take. If I had a beer in my hand and was being filmed, it would have been a first-cut worthy spit take. Even after reading the words I was in a state of disbelief, and flagged down the host to make him show me the spit itself. He kindly obliged by escorting me to the back of the restaurant; where just as advertised there was a spit of marinated pork. It was absolutely the smallest and saddest spit of pastor I'd ever seen, and it almost made me laugh, but we know from previous posts that spit-size truly doesn't matter. Unfortunately there were also spits of chicken and beef, and while that in itself is not a crime, those meats don't belong next to the word "pastor" as they were on the Llama menu. That's like chicken gyros or even soy bacon-- just wrong. I'll forgive them that violation as being isolated in a box canyon all year distorts reality in ways you and I can only imagine. And to make up for their transgressions they had a pineapple on top of the spit of pork, something many taquerias in Denver don't even bother to include. Something else Denver taquerias don't offer is a chef in his whites slicing up your pastor straight from the spit. That being said, he did slice a big hunk of meat from the spit and then proceeded to cut it in small square-like pieces as opposed to thin slices--but it was still satisfying to watch him operate (and no disrespect intended, but he could pick up a think or two from this guy). The Llama obviously hasn't got the finer points of pastor down, nor do they probably much care. Allow me, dear reader, to take a moment to write from a top my high horse, as they say. Authentic pastor is comprised of small, individually marinated loins that are stacked and shaped on the spit. As the outside cooks, thin slices are cut off so that the meat is at once perfectly charred and wonderfully tender. In this case, a big chunk of meat was stuck on the spit and cooked through--this results in dry meat with less flavor. The flavor of the taco as a whole was actually pretty good. I think it was the fresh pineapple that helped to give it some moisture and authenticity. The catch is that I paid $14 for three small tacos. I kept reminding myself that this was Telluride, and if these tacos cost $1.50 each I would have been worried that they were made from roadkill squirrel. I also got some plain rice and beans, so I should probably shut up and be happy about it. And how did the Llama do? Certainly they get an A for effort, and points for the pineapple and experience. Pricing aside (when you spend what I did to see 10 movies, $14 tacos are just a drop in the bucket that is my growing debt), it was an OK taco al pastor. We made our movie and spent the rest of the long weekend watching some amazing films, soaking in the views of what may be my favorite mountain town and eating overpriced but mostly good food. If I have some time on my hands--something that has been rare this month--I will put fingers to keyboard and write about a couple more. Until then, stay tuned as I get back to eating in Denver. We made a stop at Tacos Veloz yesterday on your recommendation. Thanks! Those were some fine tacos, and I was very happy with my melon drink. Now we need to find some southside tacos places, as Veloz is a bit out of our way. If you find any good ones, let me know!